All of our cheeses are made fresh daily using only the finest ingredients. 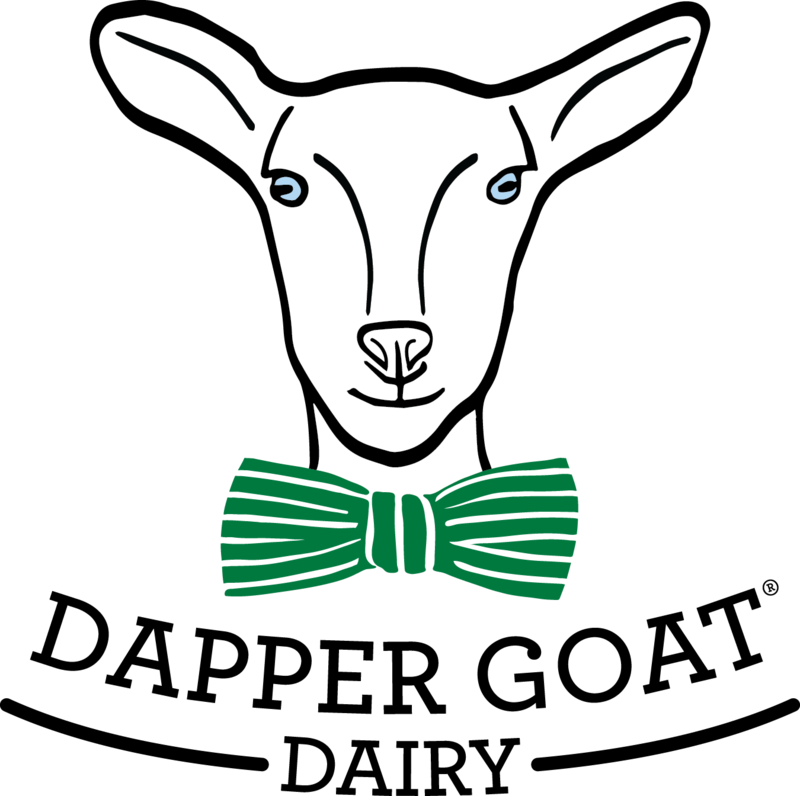 We start with sweet milk from our beautiful Saanen goats, use only natural vegetable rennet in the cheese making process and add a variety of interesting flavors derived from fresh, quality ingredients. All of our cheeses are available in 8 ounce, 2 and 10-pound containers. Our fresh chevre has a creamy mouthfeel and that clean, tangy flavor cheese lovers crave. 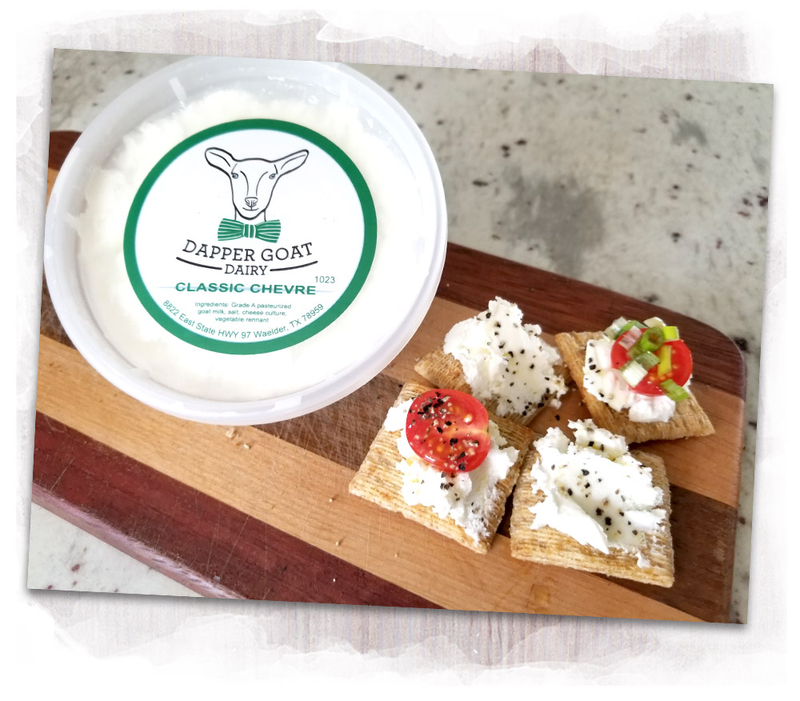 The Dapper Goat chevre is perfect for use by home cooks and professional chefs. Made with our own Grade pasteurized goat milk, salt, cheese culture and vegetable rennet. You’ll be amazed how fresh feta can taste. It takes seven days to handcraft our feta cheese. We start with whole milk from our pampered goats, hand salt the feta and then let it bathe in the salt brine for five days. 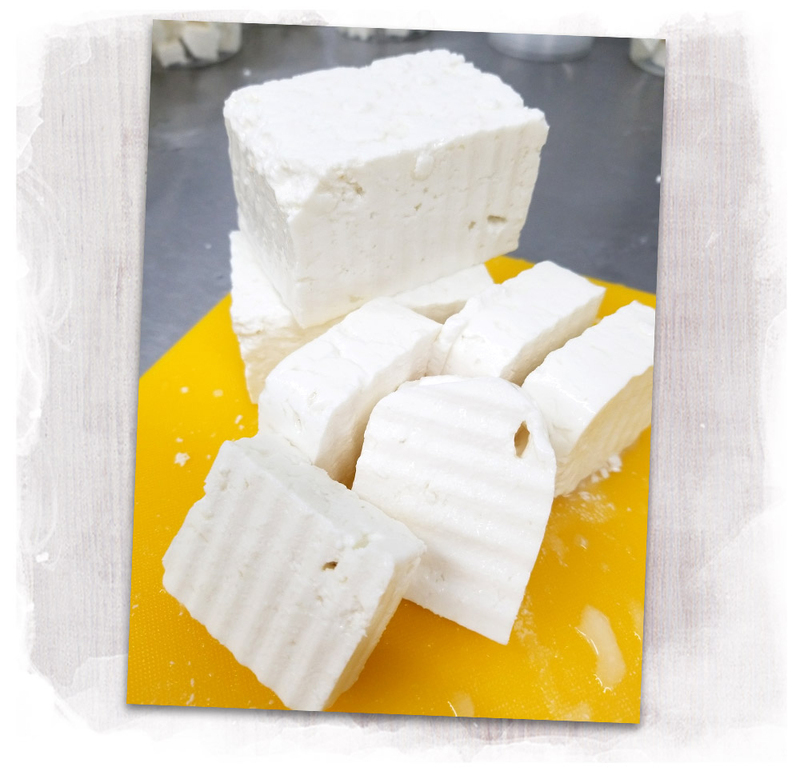 This process produces an all-natural, mild feta with a smooth mouth feel. You’ll love it!